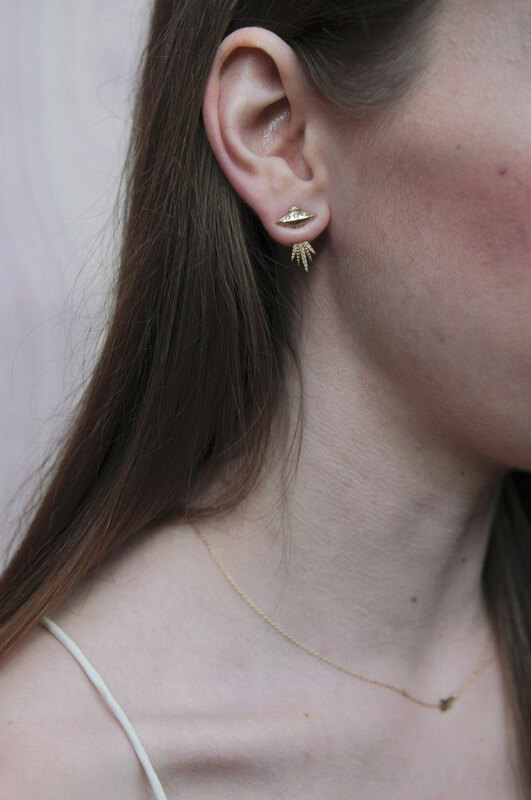 Sofia Ajram calls this the "Tender Abduction UFO Earring." As in, some poor soul is getting abducted by an alien UFO that landed in your earlobe, but the delicate little ship is going to do it tenderly. I actually noticed this nifty sci-fi-friendly earring (yep, it's sold as a single earring, though you can obviously buy 2) when I was searching for Valentine's Day gifts for my wife. I don't know how much she'll like its decidedly geeky design, but I mean, I'm the one who will be looking at it, and I like it a whole lot! Plus, she's been having a lot of internal struggles lately, going back and forth on how she feels about various social and political issues in our city, the country, the world. Fun stuff. 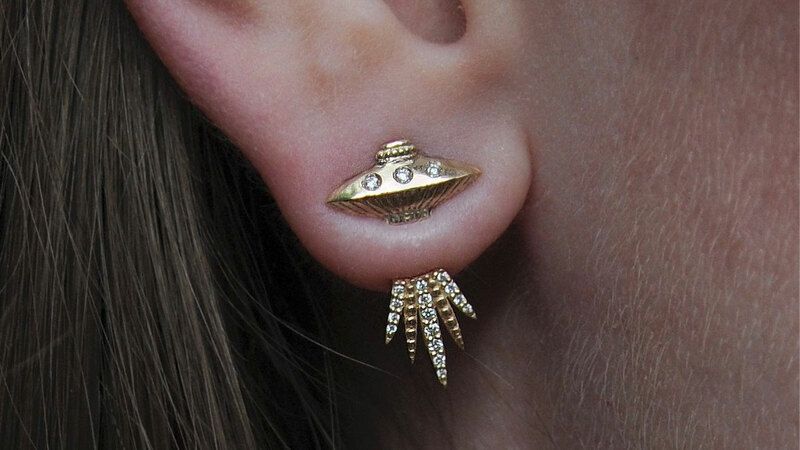 I figure I could give her a pair of the Tender Abduction UFO Earrings and tell her to consider wearing them a symbolic gesture of aliens sucking both the angel and the devil yapping on her shoulders right up. Then she can be more like me - completely conscience-free! 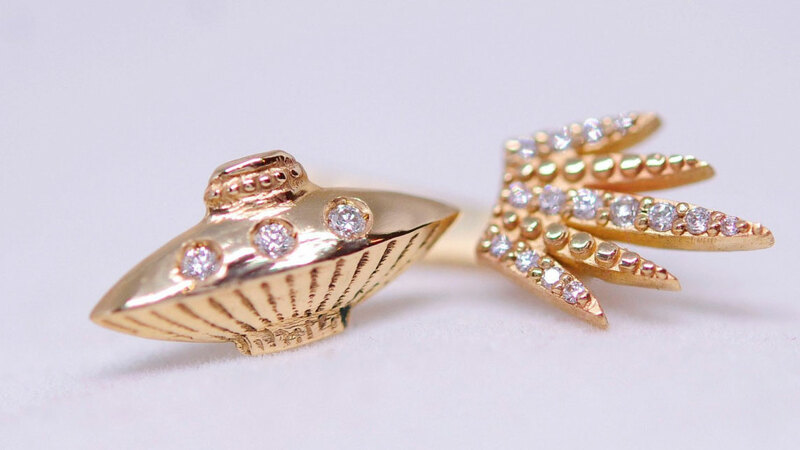 Ajram handmakes the Tender Abduction UFO Earrings in her Montreal studio. Each is a 2-piece design, with a stud earring containing 3 x 1.0mm diamonds, and an adjustable ear jacket abduction light with 15 x 0.7mm to 0.9mm diamonds.